That young man who's been coming into the shop is at my "Orly" stage right now. Actually, he's almost gone past that, because I didn't really feel the way he does about a new bike until it was time for my first "real" racing bike, a Gitane Tour de France. For that bike, I had to gain support from my parents, since it was an outrageous (for then) $236. 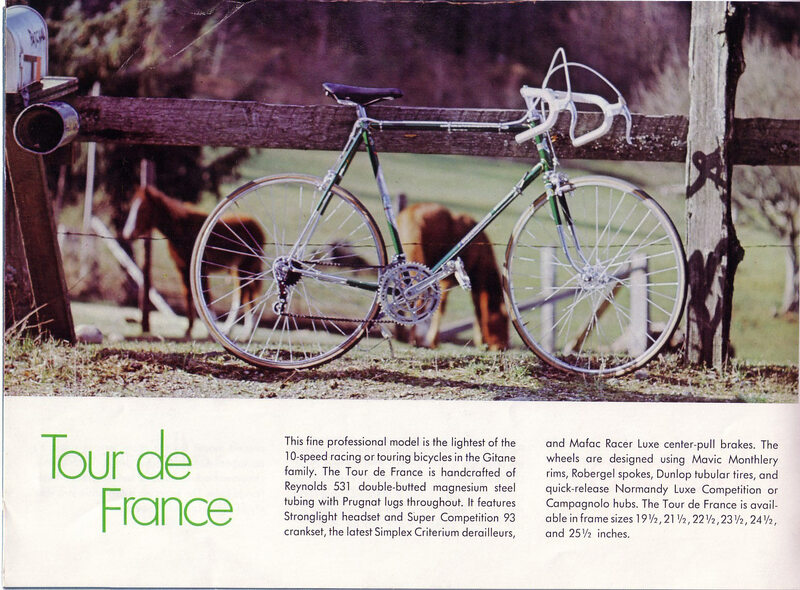 My technique was masterful; I convinced my father that the bike I was lusting after was the Gitane "InterClub" model, about $140 (still a lot of money for 1970 or '71). And once I convinced him of the reasonableness of that bike, I then moved things up to the bike I actually planned to get. There was simply no way I was going to convince my father of the wisdom of a 15 year old buying a bike that cost the equivalent of maybe $1500-$2000 today in one swift motion. Yes, even though it was entirely my own money, it was still important, and perhaps required, that I have his approval for the purchase.